Pack of 5 high-quality skate boards manufactured in Europe. 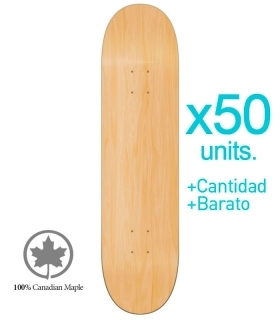 Pack of 5 tables of skate at factory price. Request information for more quantities, we make special prices for brands or companies needing Skateboards with your own design or graphic.